Of all the advantages offered by radiant heating, perhaps most appealing is the fact that it's virtually unnoticeable. You’ve probably heard about radiant heating, a new technology that delivers comfort via hydronic panels installed underneath the floor. There are many things to love about this home heating alternative. For one, it operates silently, in contrast to roaring forced-air systems or clicking baseboards. Another benefit, one that particularly appeals to allergy sufferers and those concerned about health: Radiant heat involves no ductwork, so it does not recirculate indoor air pollutants and irritants throughout the home. As well, the energy-efficient attributes of the system are a major draw for budget-minded or eco-conscious homeowners. Often overlooked among all these benefits is a less obvious, but no less appealing, fact about radiant heat: It’s invisible. We’re so used to living in the midst of our heating systems that we almost take the frustration for granted. The radiator hulks in the corner, rendering that portion of the room unusable for any other purpose. But for the presence of the baseboard, you would have arranged the bedroom furniture in a completely different way. Now consider radiant heating, whose components live entirely beneath the flooring, whether wood, tile, or wall-to-wall carpeting. So situated, radiant heat never interferes with your plans for the space. You gain not only some extra square footage, but also complete freedom to organize and decorate the room as you see fit. When you think of radiant heat in that way, it’s a wonder that we put up with bulky, inconvenient heating system components for so many decades! One way or another, conventional heating systems are noticeable. Take, for instance, today’s most common type—forced-air heating. When it kicks on, heat blasts into the room. Gradually, the room cools down, only to receive another blast. Baseboard and radiator heating are likewise noticeable: The room is warmest, perhaps too warm, right next to the unit. The farther away you go, the cooler the room gets, until you’ve reached the other side of the space (where you might feel the need to put on a sweater). With radiant heat, there are neither blasts nor variations. There’s simply steady, even heat that calls no attention itself. There’s only one place you notice radiant heating, and that’s on your monthly utility bill. 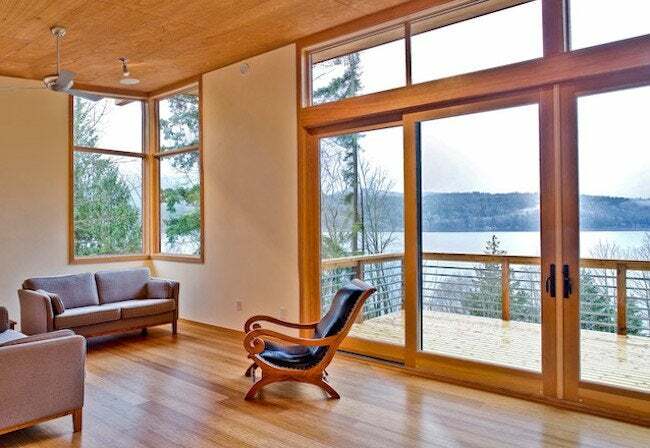 Radiant heat consumes less energy than conventional systems, in part because it’s everywhere. Picture a room in your house: Inevitably, its conventional source of heat—be it a vent, baseboard, or radiator—is doing its best to hide somewhere on the perimeter. Radiant flooring, however, extends across the entire space. Given that level of virtually complete coverage, radiant heat needs far less energy to maintain a comfortable temperature than does a heat source that’s confined to a corner. Further, we all know that heat rises. So while conventional heating systems pump a great deal of heat toward the ceiling, radiant flooring puts the comfort where it’s needed most, at floor level. Invisible in every other way, radiant heat makes itself known when it comes to money savings over the long term.